Budapest, October 10, 2012 – Academy Award-winning developer Colorfront (www.colorfront.com) today announced it has been awarded a 2012 Primetime Engineering Emmy from the Academy of Television Arts & Sciences for Colorfront On-Set Dailies, the market-leading on-set dailies system for motion picture and TV production. 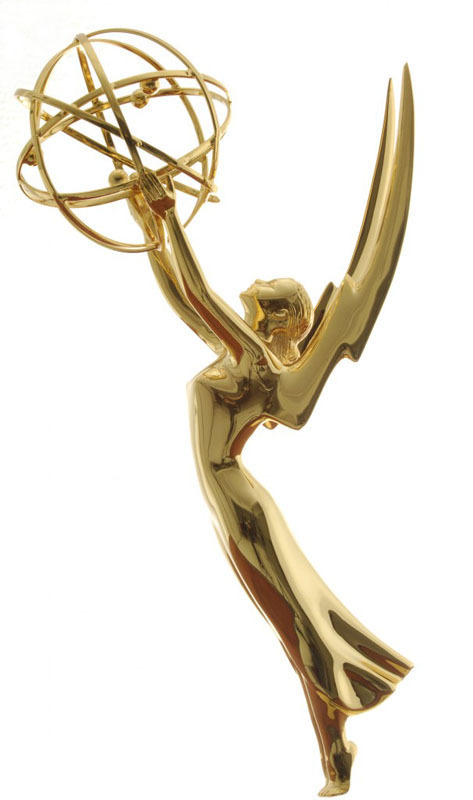 The prestigious Primetime Engineering Emmy award honors outstanding achievements in engineering development. It is presented annually to an individual, company or organization, for engineering developments that are so significant an improvement on existing methods, or so innovative in nature, that they materially affect the transmission, recording or reception of television. According to the Academy, Colorfront On-Set Dailies has "allowed high-end episodic television shows, that switched to digital file-based workflows, to process and deliver multiple hours of footage each day, so that dailies requirements could remain unchanged, and deliver color-graded, sound-sync images with burn-ins in multiple file formats for editorial, production review, DVD's, viewing copies etc." Within the past two years the entire high-end HD episodic television industry has experienced a seismic shift, moving from shooting 35mm film negative to digital. A new generation of digital cameras raised the quality bar, allowing productions to jump from 35mm film – skipping tape – and adopt file-based digital workflows. This has eliminated the need for negative stock, photochemical development, telecine and video transfer, offering great savings to productions while achieving exceptional production value and quality. Colorfront On-Set Dailies was introduced in the US at NAB 2011, and quickly became the de-facto standard for leading labs and high-end post-production facilities to process hours of digitally acquired material daily. This changed the way high-end episodic television productions, as well as motion pictures, are created. The majority of high-profile HD episodic TV shows shooting ARRI Alexa ProRes, as well as features using Alexa ARRIRAW and F65RAW workflows, all selected Colorfront On-Set Dailies, resulting in a dominant market position for the product. Colorfront On-Set Dailies has been used on leading episodic TV shows including CSI:Miami (CBS), Dexter (Showtime), True Blood (HBO), Desperate Housewives (ABC), House (Fox), The Lying Game (ABC), Man Up (ABC), NCIS: LA (CBS), Private Practice (ABC), Scandal (ABC), Sons Of Anarchy (FX), The Borgias (Showtime), Undercover Boss (CBS), Vampire Diaries (CW), Walking Dead (AMC), Pretty Little Liars (ABC) and Modern Family (ABC). On-Set Dailies has also been used on the majority of features shooting Alexa ARRIRAW to Codex recorders. These include James Bond 007 Skyfall (MGM/Eon Productions/United Artists), The Avengers (Marvel/Walt Disney), Oblivion (Universal), Rush (Universal), Gravity (Warner Bros.), Abraham Lincoln: Vampire Hunter (20th Century Fox), This Is 40 (Universal), R.I.P.D. (Universal), World War Z (Paramount Pictures), The Campaign (Warner Bros.), Gangster Squad (Warner Bros.), Gambit (CBS/Momentum), Chasing Mavericks (20th Century Fox) and The Last Stand (Lionsgate). Colofront's On-Set Dailies was developed by the same team which won the 2010 Scientific and Engineering Award® from the Academy of Motion Picture Arts and Sciences®, for the development Autodesk's Lustre® grading system. On-Set Dailies offers an all-embracing approach to digital dailies workflow, integrating production-proven tools for dailies work with state-of-the-art color and image science, and provides simultaneous faster-than-realtime deliverables in all common file formats. The forthcoming release of On-Set Dailies breaks new ground by delivering high frame-rate (HFR) 4K capabilities. This includes 4K output at 60FPS from all of the major RAW formats, with de-mosaicing and processing on-the-fly. With the new release, TV and motion picture producers can move beyond HD monitoring and review, and work with 3K, 4K and 5K RAW material in post-ready 4K quality. "We express the greatest thanks to the Academy for this prestigious award," said Aron Jaszberenyi, managing director of Colorfront. "We’ve achieved this success by maintaining a technology leadership position, having the highest performance and being first to market with features to support efficient file-based workflows. But the industry never stands still, and the next release of On-Set Dailies directly addresses the latest demand for high frame-rate (HFR) 4K capabilities."